Often you’ll see the term Mohs scale of hardness, Mohs mineral scale and other variations used to describe how hard a mineral or gemstone is. But what is hardness exactly? This article will explain the Mohs hardness scale, how it works and other mineral hardness scales. 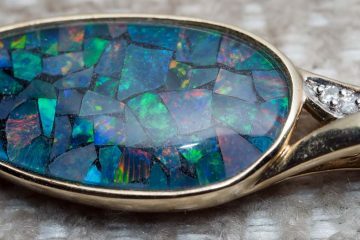 Hardness can have various meanings, but when it is used to describe minerals or gemstones it will always mean scratch hardness. To avoid confusion it should be mentioned when another type of hardness is meant. Scratch hardness means how resistant a material is to scratching. A harder material will scratch a softer material. One of the scales based on this principle is Mohs scale of mineral hardness. Developed by the German geologist Friedrich Mohs, it is currently the most commonly used scale of hardness. 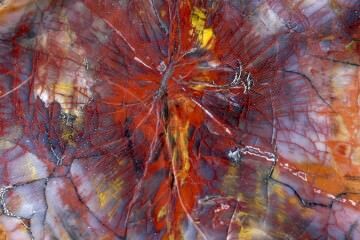 It is based on whether a mineral can scratch another mineral, if it can it means it has a higher hardness. If it can’t it means it has a lower hardness. If you repeat this for many different minerals you can form a list. The simplicity of this test is also its main drawback. 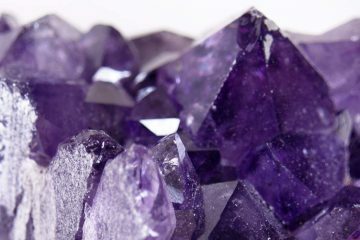 All you know about a material is that it has a higher hardness than certain minerals and is softer than other minerals. You don’t know exactly what its hardness is. Diamond for example was the hardest substance known at the time Friedrich Mohs made his scale, so it was given a 10. 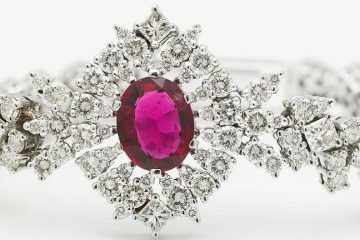 Corundum of which sapphires and rubies are the best known varieties, was given a 9. So you would think that diamonds have a slightly higher hardness than rubies, but in reality diamonds are four times harder than rubies! So to deal with this problem other hardness tests were made based on absolute hardness instead of relative hardness like with Mohs scale of hardness. 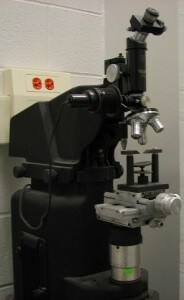 Perhaps the easiest of these tests is used in the sclerometer which is a hardness testing tool. What it does is it uses a load placed on a diamond, which is then moved over the mineral that you want to test. When this is done right the width of the scratch made by the diamond can be measured, usually by a microscope, and its absolute hardness will be calculated from that. how do you test for each grade? The easiest way is to get a few household objects that you know the hardness of. Then simply try to scratch your sample with the above objects. If you can scratch it, the hardness of the object is below the hardness of the object you scratched with. For example, first you try to scratch it with your fingernail but it does nothing, then you try to scratch it with a piece of glass and it works. Now you know the hardness is between 2.5 and 6. The more items you have that you know the hardness of, the better your hardness test will be. For a hardness of 7 and higher you’ll need to get special tools, but it doesn’t need to be that expensive. For around $80 you can get a very nice hardness test kit from Amazon, which can test the hardness from 2 to 9. Let us know if you need a better explanation. Unfortunately you’ll need to narrow down the hardness a lot more before it becomes useful. There are literally dozens of green gemstones with a hardness of between 3 and 7. We suggest you get a better testing set to determine the hardness or take it to a local expert.